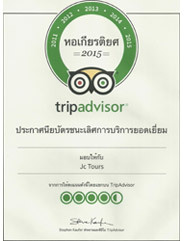 This trip is provided just by Jc Tour(Phuket) only. 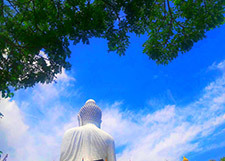 This trip is just for the people who love to see the Buddhist Art, Buddhist Cultural and Buddhist Religion way. 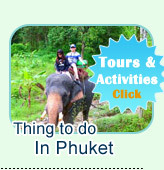 Before do the booking, please check the highlight picture and brief program to make sure that this is your favorite trip. The atmosphere of abandoned Island Temple On the Magic Glassed Island. Around the Glassed Island Temple is a very good beach with Rock, fishes and Clear water. 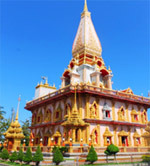 Chalong Temple, the most beautiful temple of Phuket. 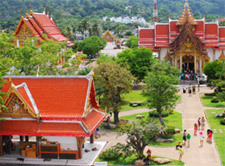 We can say that if you missed to visit this temple, you missed Phuket. 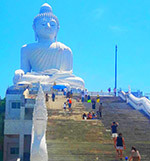 Big Buddha: The biggest Buddha was built on highest mountain of Phuket, Narkert Mountain. On this point, 180 degree of around the Island view. Coral Island the nearest beautiful snorkeling place of Phuket. 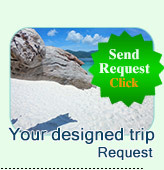 Go to Coral Island for snorkeling: seeing the underwater world life of Fishes and Coral Reef. Funny with water sport at Coral Island(If you like). 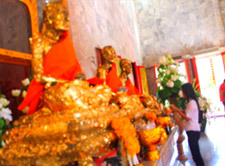 In this special tour trip, we use very comfortable private minibus for transfer "Maxus Layland Minibus". 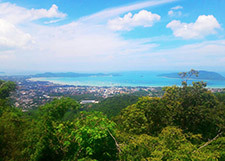 By this car, you will be very happy to visit around Phuket.